Name Servers Haven’t Been Set: Because LaunchCDN only offers hosting, you will need to register the domains that you want to have hosted with a third party registrar if you’re picking them up from PBN HQ or Hammerhead Domains. If it’s an auction domain, or from a third party vendor, the domain may already be registered. We recommend NameSilo for domain registrations. Once you’ve registered the domain, you will then need to set the name servers to the ones provided to you on the “My Domains” tab after you login to your Dashboard. We have instructions on setting name servers here. Domain Propagation Time: It can take 24-48 hours after you change your name servers in your domain registrar for the change to propagate across the internet. 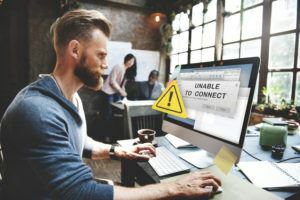 You may be able to speed up how long it takes for it to be visible to you by clearing your DNS cache or connecting to a VPN. Issues With Your Connection: It’s worth checking the site DownForEveryoneOrJustMe.com and entering the domain that you can’t load to see if it’s just an issue with your connection, or if it’s potentially a wider issue. If your ISP is having issues, you might be able to get around this by connecting to a VPN. Temporary Downtime on the Server: Our hosting providers will perform scheduled and unscheduled maintenance on their servers – sometimes this can result in short amounts of downtime. Check back in 30-60 minutes before logging a ticket. Issues with WordPress plugins/themes: Sometimes, you’ll get a blank white screen when you try to load your site if it’s on WordPress. This is generally because of a problem with the WordPress theme or one of the plugins you are using. Log a ticket with support and we can investigate this and advise which plugin/theme is causing the issues. .UK Domains: It is common for newly registered UK domains to have a hold placed on them because of incorrect information. Please check the Whois record for your domain and look for comments from Nominet about whether the contact information has been checked and passed or failed. You should also receive an e-mail if this check has failed. .COM/.NET/.ORG Domains: ICANN also check the validity of e-mail addresses of new registrants. If you don’t take the required action in the e-mail that they send you, they may place a hold on your domain. Typically it will redirect to a parking page, advising that you need to verify your contact information. Look for the status to be “clientHold” on your domain’s Whois lookup. All TLDs: There may also be a hold placed on the domain due to a dispute/violation, typically because the domain has a trademark dispute. Look for the status to be “clientHold” on your domain’s Whois lookup. Non-Payment: Your registrar may also place a hold on your domain if there has been an issue with your payment method. Issues With Your LaunchCDN Account: This could include problems with your automated payments going through, or having content on your sites that breaches our Acceptable Use Policy and the site has been suspended. You will get an email if any of these things happen, so check your Junk Mail or Spam folder if you haven’t received it, or login to the Dashboard to look for any notices. Please check for these issues before contacting support and advise us that you have completed all of these troubleshooting steps, including the result of each of these steps.